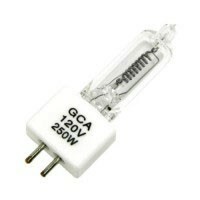 Halogen lamps operate at a higher temperature than standard incandescent lamps, producing a higher color temperature and more lumens. Halogen bulbs achieve this improved color temperature and lumen output all while using the same amount of power as traditional incandescent lamps by adding a small amount of halogen inside the bulb. A chemical reaction inside the bulb deposits tungsten back onto the tungsten filament during operation of the bulb, allowing for a longer life and keeping the envelope of the bulb clear. 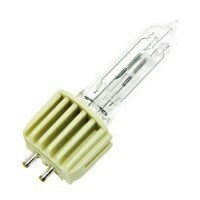 Since halogen lamps operate at higher temperatures, they produce a higher color temperature. This allows for a whiter light. 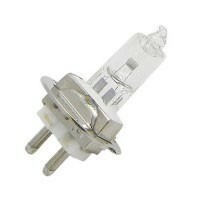 Halogen bulbs come in a wide variety of styles, wattages, and base types. 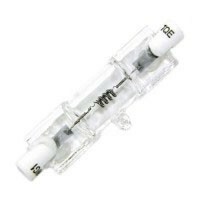 Single ended halogen lamps have a variety of uses and applications, and come in various base types such as two-pin or screw in. 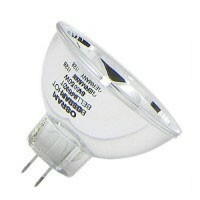 Double ended halogen lamps, known as Recessed Single Contact or R7, have a base at each end of the bulb. 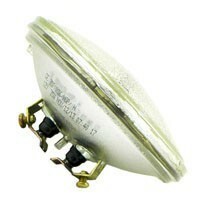 Halogen PAR lamps come in various types ranging from PAR 16 up to PAR 64. The number following the PAR can be divided by eight to get the diameter of the bulb. 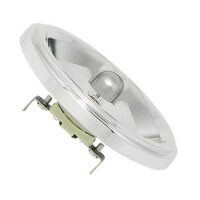 PAR lamps are generally used for either accent lighting or exterior lighting. HPL (High Performance Lamps) concentrate light in an efficient manner, reducing energy costs and allows the bulb to burn at a lower temperature.